While in Toronto, I had also arranged to meet Renée, whom I’ve known on Flickr for ages. 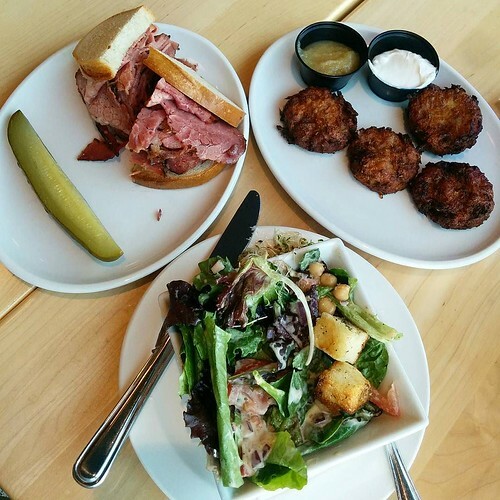 If it was anyone who’d know where was best to eat in the city, it would be the very knowledgeable Renée! 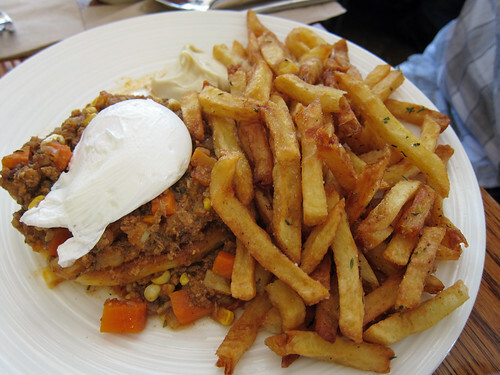 She arranged for us to dine one night at Acadia, a relatively new restaurant where chef Matt Blondin concocts dishes inspired by Acadian and Lowcountry cuisine. She had been often and raved about the food. I certainly didn’t know much about both cuisines and was intrigued and excited. I’d already looked at the menu online prior to our meeting but I was still none the wiser as to what to eat there. I needn’t have worried as the chef had planned for us all (Renée’s friend Gabe also joined us) to have a tasting menu that night. So here we go through the tasting menu – most of the dishes were smaller versions of those available on their a la carte menu but some were experiments, I think. 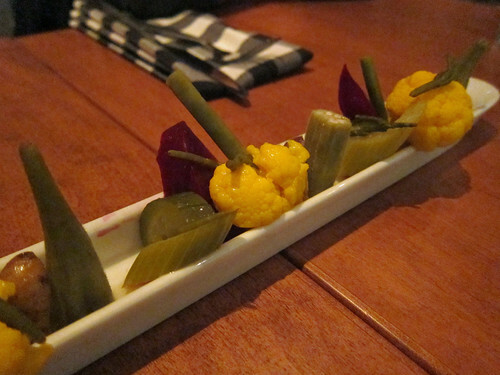 Pickles to start. 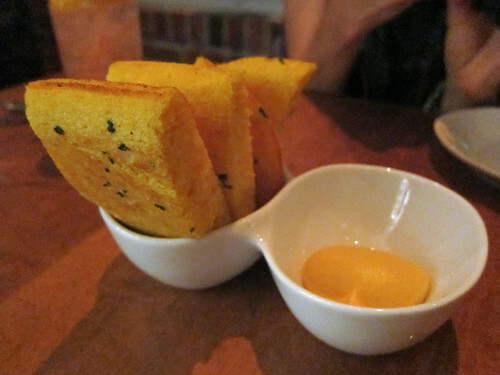 Acadia’s Cornbread – sweet potato butter. This was some delicious cornbread but I was careful not to fill up on it. 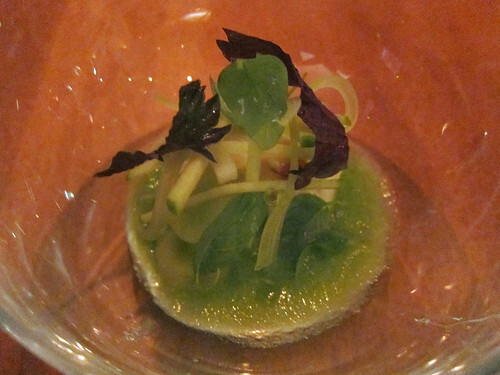 Crab with basil and cucumber. 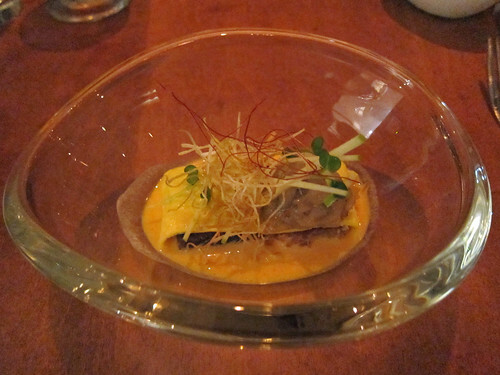 This was a light, delicate dish chock full of chunks of crab meat. 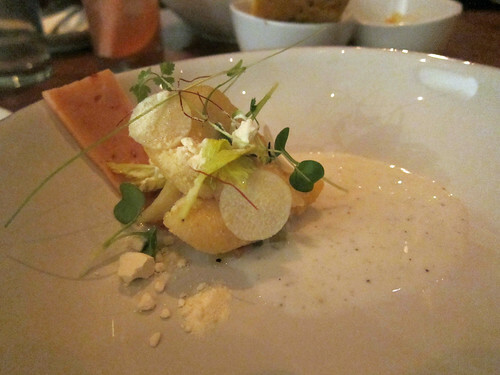 Cornmeal Dusted Halibut Cheeks – pickled prawn, celery & sugarcane chow chow, mirlitons, buttermilk. 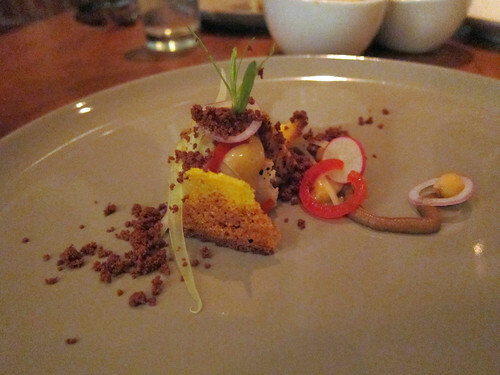 A dish with a good balance of strong and gentle flavours (the prawn cake slice was a good kind of strong). I still have no idea what mirlitons are; I need to Google this. Northumberland Strait Scallops – chicken crackling, parmesan, pickled watermelon rind, basil. This was probably my favourite dish of the night. Scallops, chicken crackling…what’s there not to like? 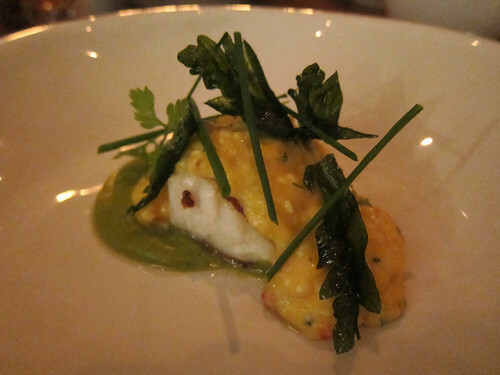 Yarmouth Albacore – blackened spices, chickpea & celery maque-choux, brown butter hollandaise, tarragon. 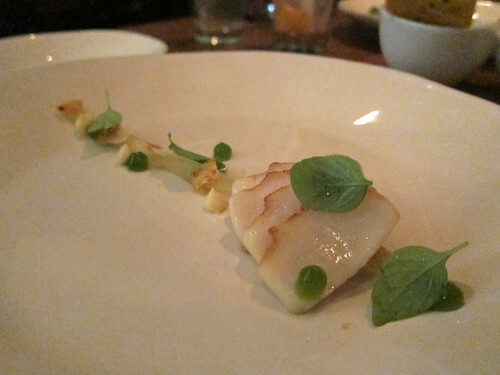 I also loved this dish with its spices and brown butter pepping up the fish. Dirty Rice Balls – red pepper honey. 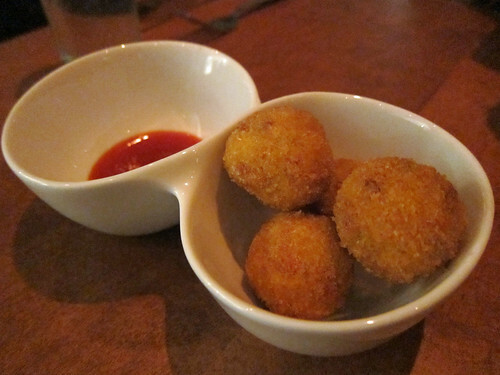 Unfortunately, I did fill up on these glorious deep fried spheres of a spiced rice and meat mixture. 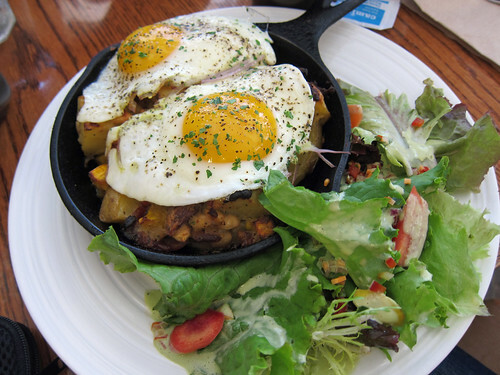 Pork Belly – wrapped in egg. This was my least favourite dish of the night, probably a surprise if you knew my penchant for pork belly. This one was a bit dry and quite salty. 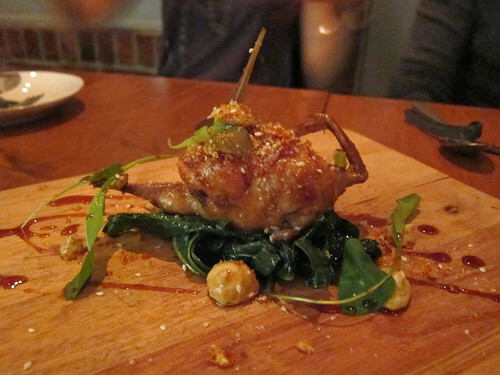 Stuffed Quail – boudin, cane syrup glaze, Orleans mustard, benne seed brittle, collard greens. 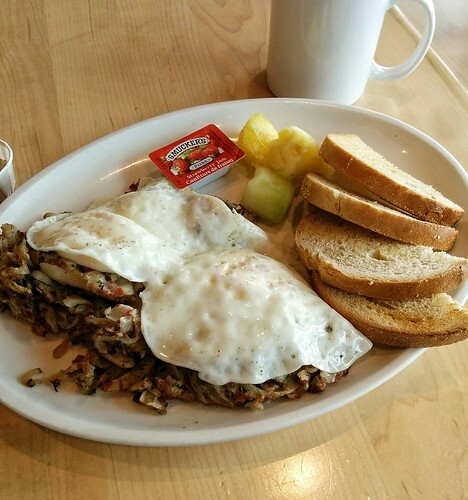 We were presented with a full sized order of this for the table to share. The sweetness of the glaze and brittle was so good with the richness of the boudin and rice stuffed quail. 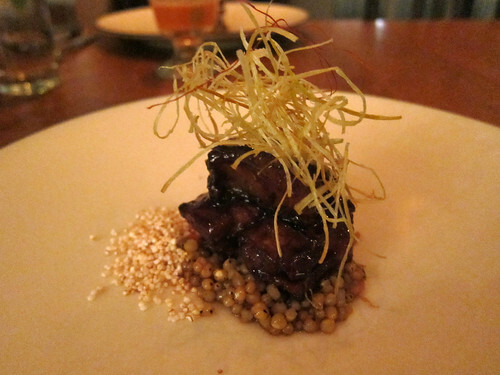 Nagano Farms Pork Ribs – sorghum salad, sarsaparilla root, tobacco leeks, puffed amaranth. Sticky, moreish ribs…mmm. 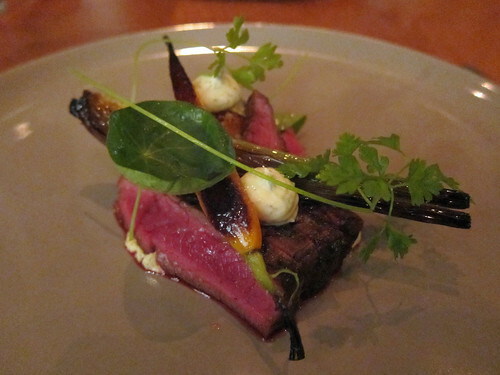 Black Angus Flat Iron – heavily roasted vegetables, black garlic, dill emulsion. It was a great piece of meat but I felt the dill overpowered the flavour of the meat; I found myself scraping off most of the dill sauce. 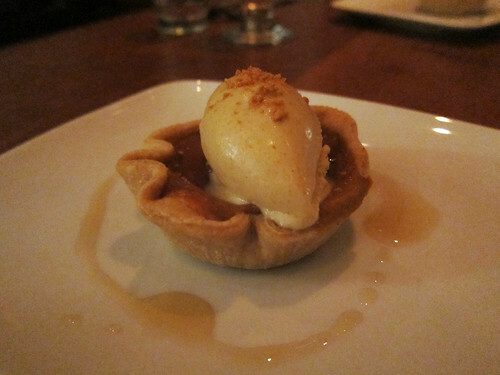 Sweet Potato Pie – molasses & cereal milk ice cream. By this point, I was already stuffed and didn’t manage more than half the pie. I thought it too sweet (I usually think this of many North American sweets) but loved the cereal milk ice cream that came with it (it tasted of my childhood favourite Corn Pops). I may have held my breath when the bill arrived but the damage was a much-lower-than-expected $69 each for the tasting menu. They don’t have this menu available everyday and I’m aware that this was offered specially for us that day but you could try to call ahead and arrange for it. Otherwise, you won’t go too badly wrong with the items from the daily menu; their cocktail menu is also quite interesting and unique too. Service was excellent with the waiters taking pains to explain every dish with great care; I noticed that every table got this level of attention.Definitely recommended for something quite unique to Toronto. F’Amelia had only been open for about two weeks when I met the lovely Yasmin of le sauce there for dinner one night. I had arrived early, hoping to see Cabbagetown but all the shops in the area closed before six; with nothing else to do, I turned up to the restaurant and snagged the last seat at the bar to wait quite comfortably until Yasmin turned up. After we were seated, we took ages over the menu, both of us quite indecisive over everything on the Northern Italian menu. We finally decided on a starter, a pizza and two small portions of pasta. 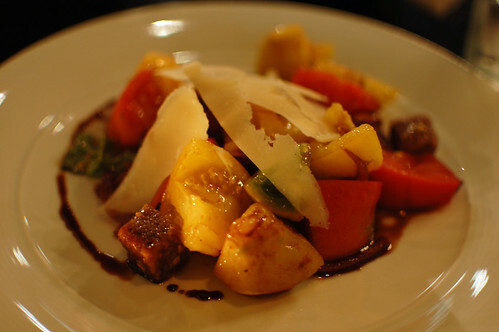 Our starter was Vickie’s Heirloom Tomato Panzanella ($12) – a Tuscan-style tomato and bread salad. These must have been the last tomatoes of the season but they were still fantastic tossed with caramelised onions and parmesan in a light dressing. And their homemade croutons….mmm…. Our pizza came, like the others, out of a large woodburning oven in the middle of the restaurant. 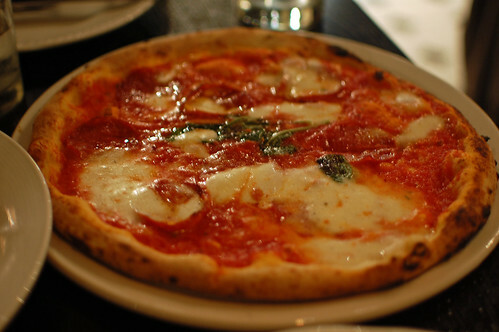 We were both drawn to the Diavola ($15) – Crushed San Marzano tomato, fior di latte, spicy soppressata, fresh red hot chili pepper, basil, extra virgin olive oil – because of the addition of the chilli! It was an excellent pizza too. I thought their pastas were weaker than their pizzas. 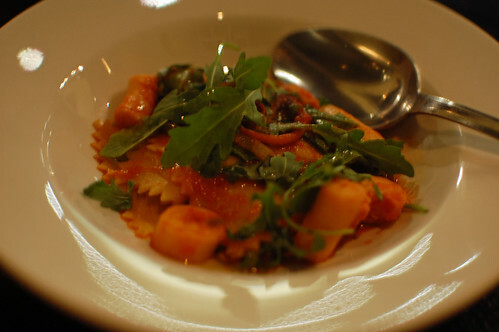 A Maltagliati ($15, for a small portion) with octopus, spicy tomato, preserved lemon and arugula was alright but I couldn’t taste any of the lemon and the pasta sheets stuck together in clumps. The octopus was wonderfully tender but still, the dish just didn’t work. 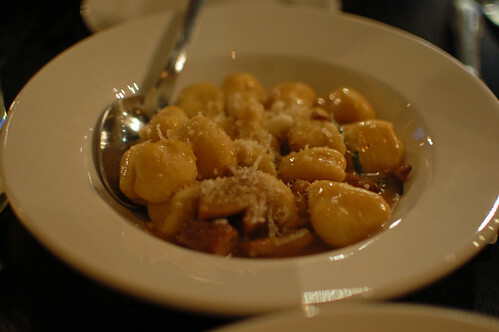 Their famous Gnocchi ($16) with porcini mushrooms and in-house cured Pancetta and parsley was good with its pillowly soft potato dumplings but needed something….perhaps something acidic to cut through the richness. I’m still glad I tried them both though. 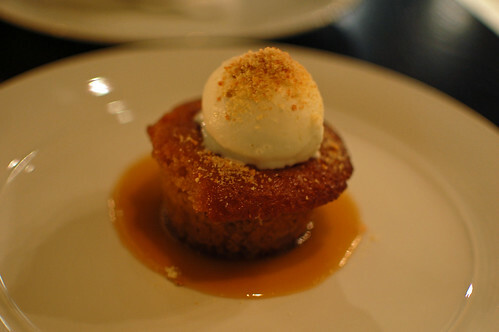 Their Rum and Ginger Apple Toffee Cake ($8) with vanilla and honey bee pollen ice cream was good but its sticky toffeeness was little too heavy after all the food we’d consumed. I’ve heard good things about their tagliatelle with rabbit ragu so that should possibly be on your list if you visit. There are, of course, quite a few good Italian restaurants in Toronto but I can certainly recommend this one for its pizzas. 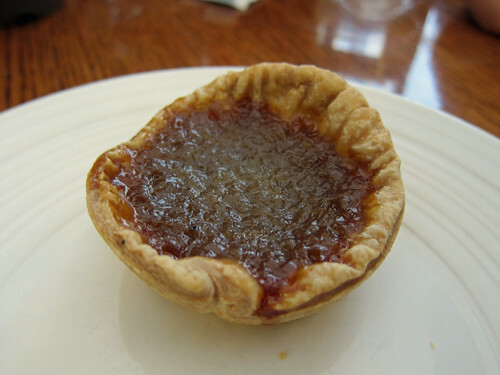 It was absolutely pouring that night in Toronto when we poured out of the taxi in front of what we hoped was The Black Hoof (the shopfront only had the word ‘charcuterie’ on its awning). I had dragged my colleagues there after reading positive reviews of this restaurant famed for its meats but I was feeling particularly nervous as they don’t accept reservations and gosh, would we have to queue in the rain? Luckily, we were at the correct restaurant and yes, we just managed to get the last table for four. The chalkboard menu up on the wall showed their dedication to nose to tail eating. 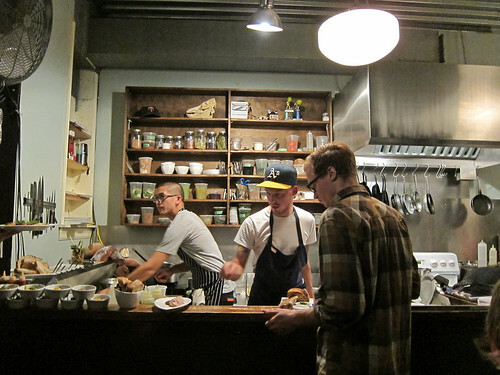 We selected a variety of dishes to sample what the restaurant with its tiny open kitchen could do. 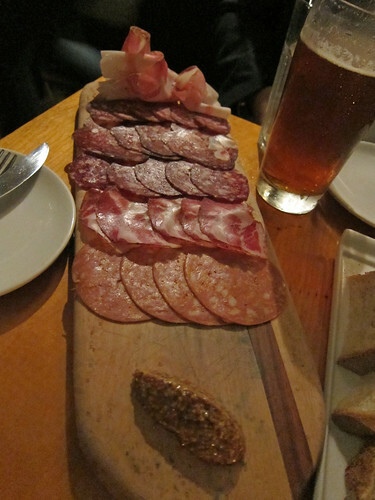 The platter of House cured meats ($18) came out first and we paired this with a large order of their fine bread ($4). Pork, beef, lamb, and venison were all represented and the flavours on the platter were arranged like a rainbow from the mild and silky to the spicy and pungent. 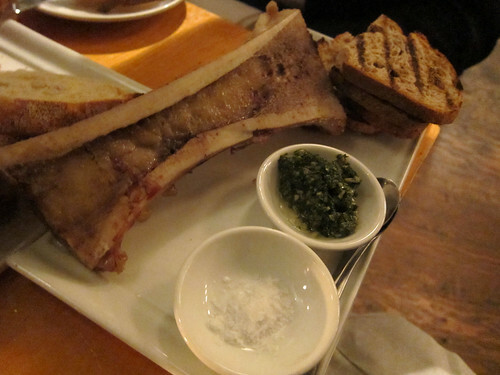 The Roasted bone marrow ($9) came out looking like something out of the Flintstones. Cut lengthwise, there was no barrier to the luscious marrow itself and we spread it on toast along with the accompanying salt and fantastically garlicky chimichurri. 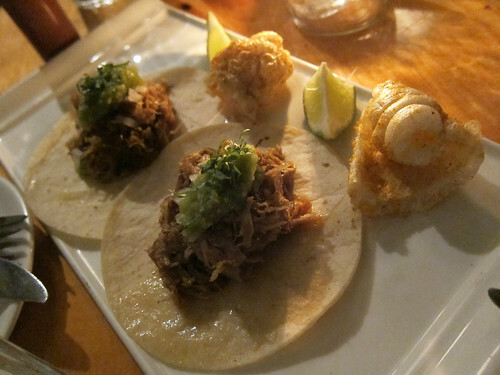 The Pork carnitas tacos ($14.5 for 4) were served with lime and puffs of fried pork rind. They were delicious bites of spiced pork and we jazzed them up with some hot sauce provided. 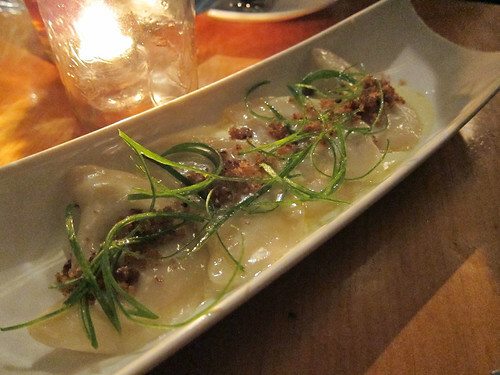 The Pierogies ($13) were filled with potato, cheese and pork belly and served with a lemon butter sauce. Four to an order seemed a little small though for the price. 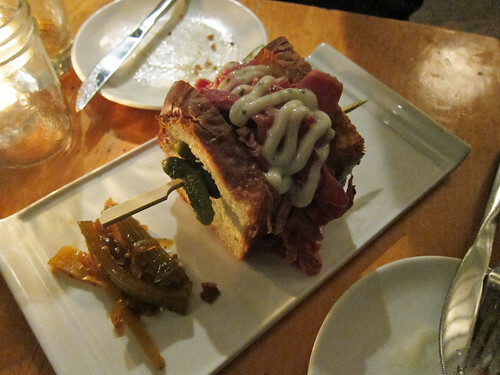 Tongue on brioche ($14) turned out to be a tongue sandwich – tender shaved tongue, brioche, tarragon mayo, cornichons and pickled celery and violet mustard. I’m now rather sold on tongue if it were always to be served like this! We were already getting full and started thinking of sweets. There was only one Dessert ($10) on offer though and that was a cinnamon pannacotta with apple, whisky jelly, raisins and granola. 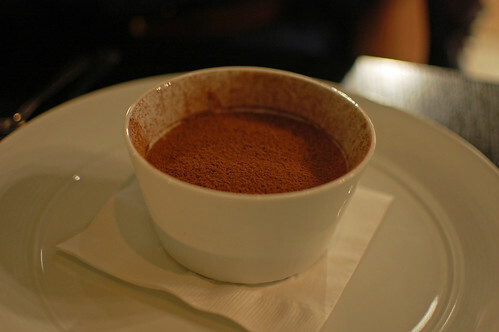 We ordered two for the table and what came out were large Le Parfait jars with the pannacotta inside. 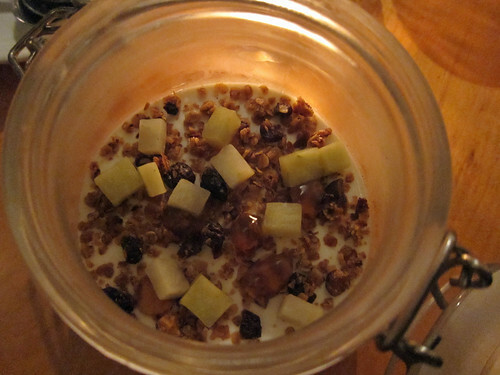 It was excellent with the crunch of the granola and apple, chewiness of the raisins and creaminess of the pannacotta. And the bill? The total for the four of us was about $120 (with a few beers but not including tip), a perfectly reasonable bill for the quality of food we consumed. 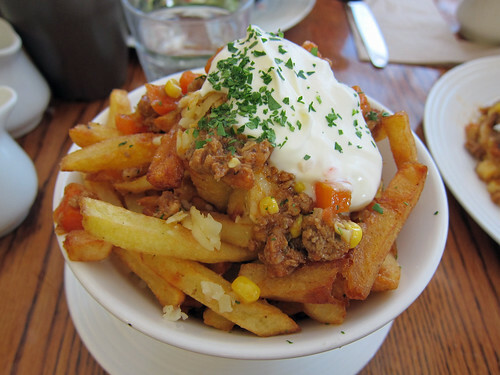 It might be of interest to note that we visited not long after the original head chef Grant van Gameren parted ways with The Black Hoof and while I have no idea how the food when he was there might compare, I was impressed with what we were served. Shame we didn’t have a chance to return but there were other places to try in Toronto! Remember – no bookings allowed and they’re closed on Tuesdays and Wednesdays.